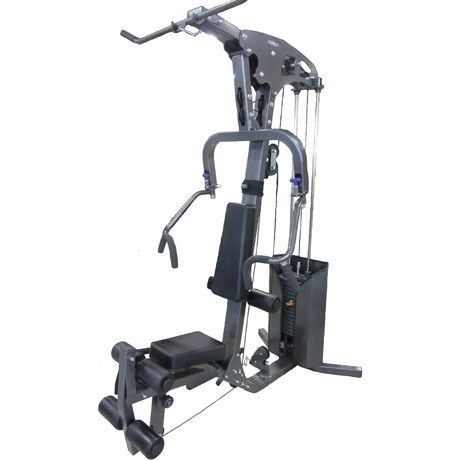 The Blackcomb Multi Gym offers traditional strength training exercises in a compact unit. You can do a variety of exercises including chest, shoulder and incline presses, lat pull downs, rows, leg curl, leg extension & many more. Swivel pulleys and cable travel allow for users to train in real-life movements. ERGO-TECH, ergonomically shaped injected molded urethane pads for comfort and durability. Limited Lifetime Warranty against broken welds and manufacturer defects.